As hardworking (or perhaps just overworked?) 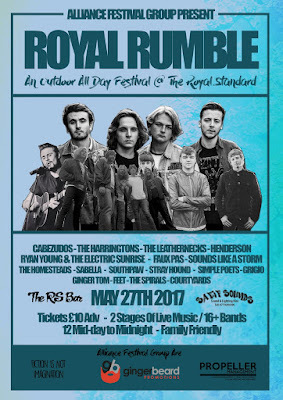 Brits, we spend our days looking forward to the next bank holiday weekend; freedom, sunshine... and in this case, Royal Rumble... one full day of fantastic live music at the Royal Standard. Doubling as a top class bar and music venue, the RS Bar is located in the very heart of Sheffields' city centre and is a mere stonesthrow away from the train station.Organized by Alliance Festival Group (made up of myself, John Alexander and Scott Howson of Gingerbeard Promotions and Sam Christie of Propeller Management), the all day event boasts two stages (one indoor and one outdoor) and features the crème de la crème of up and coming British musical talent. 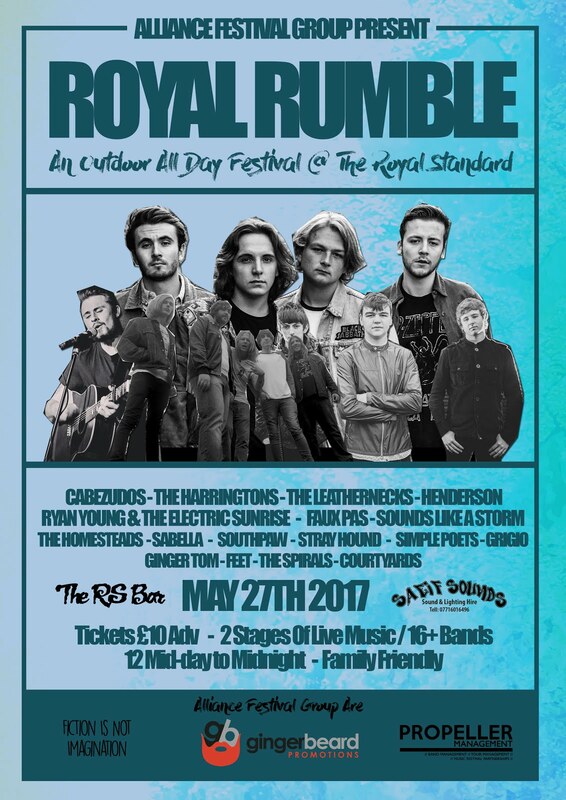 This is going to be one hell of a day, and tickets are just £10 when bought in advance and £13 on the door; with over 16 acts performing on the day, this is nothing short of a bank holiday bargain. Tickets can be purchased through myself at Fiction Is Not Imagination, Gingerbeard Promotions, Propeller Management or through the bands themselves if you prefer. Trust me... you do not want to miss this!